Fantastic News For Property Investors – On the basis of the results of the Passengers Survey, arrivals of tourists reached 421.201 in September 2016 compared to 360.899 in September 2015, recording an increase of 16,7%. September 2016 had the highest volume of tourist arrivals ever recorded in Cyprus during the specific month. For the period of January – September 2016 arrivals of tourists totaled 2.617.218 compared to 2.203.599 in the corresponding period of 2015, recording an increase of 18,8% and outnumbering the total arrivals ever recorded in Cyprus during the first nine months of the year. Tourist arrivals from the United Kingdom increased by 3,0% in September 2016 compared to September 2015 while an increase of 51,8% was recorded for tourists from Russia. Increases were also recorded from other important tourist markets, such as Sweden (22,1%), Israel (20,5%), Greece (24,7%) and Germany (1,4%). Contrary to that, a decrease of 1,7% in tourist arrivals from Norway was recorded. 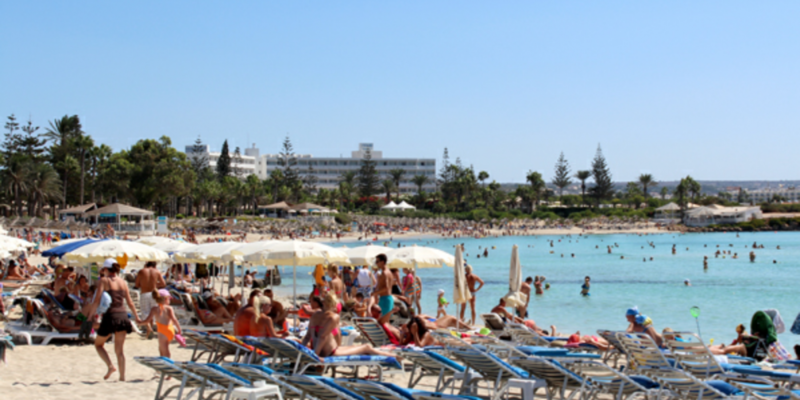 The United Kingdom and Russia constitute the main sources of tourism for Cyprus, with proportions of 35,5% and 27,2% respectively, while arrivals from Sweden comprise 4,6% and from Israel 4,2% of total arrivals. For a percentage of 87,7% of tourists, the purpose of their trip was holidays, for 8,1% was visit to friends and relatives and for 4,1% business. Women comprise 48,8% of tourists and men 51,2%, whilst most of the tourists belonged to the age group of 20-44 years.